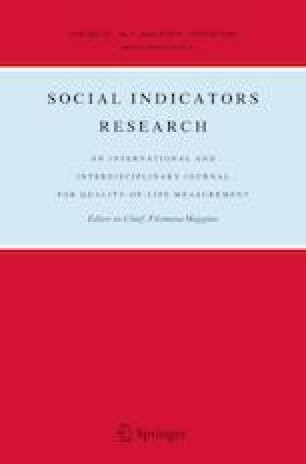 A review of the literature has highlighted that some studies have defined an indicator of trust regarding one’s geographical community, but that few studies refer to the community, in relation to the role of its social interactions used to attain and promote personal and collective planning. Therefore, this study introduced community trust as a composite indicator used to measure community opportunities, as perceived by citizens, in addition to discovering their local culture. A third-order construct model was proposed, specifying community trust as a multidimensional construct, which is composed of two different domains: Community Action Orientation and Community Future Opportunities (CFO). Each domain was considered separately, although they are integral parts of community trust. The results showed that the proposed model performs well in measuring community trust. 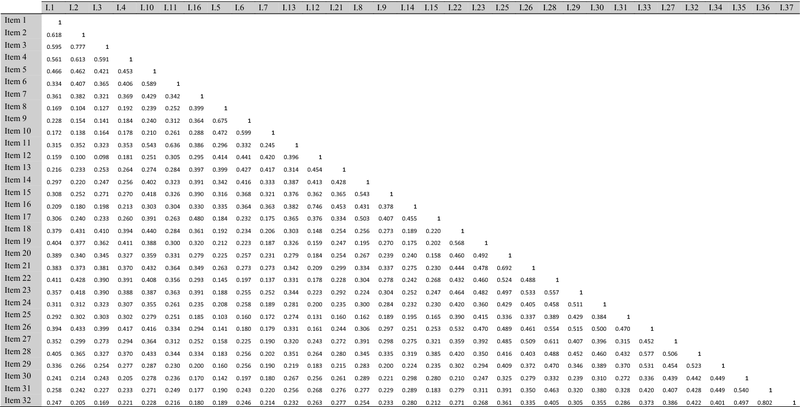 All blocks of variables indicated good internal consistency, and factor analysis results were consistent with the hypothesized dimensions in each block. Furthermore, the social ties indicator, known as sense of community, was measured using the Italian-version of the Sense of Community Scale. Factor analysis was applied to analyze data and to provide an indicator for sense of community. Finally, through a logistic regression, the relationship between both community trust and sense of community with community engagement were analyzed. We found that community trust is significantly associated with community engagement, while sense of community is not. The proposed community trust indicator offers some guidance to urban planners and local governments, when promoting urban development, social empowerment, and community wellbeing. The online version of this article ( https://doi.org/10.1007/s11205-019-02114-y) contains supplementary material, which is available to authorized users. ISTAT. (2015). Rapporto Bes 2015: Il benessere equo e sostenibile in Italia. [Fair and sustainable well-being in Italy]. From http://www.istat.it/it/files/2015/12/Rapporto_BES_2015.pdf. Accessed 30 August. ISTAT. (2017). Rapporto Bes 2017: Il benessere equo e sostenibile in Italia [Fair and sustainable well-being in Italy]. From https://www.istat.it/it/archivio/207259. Accessed 30 August. Lasagni, A. (2008). Volontariato e criminalità in Italia: un’analisi sui dati provinciali. https://scholar.google.it/scholar?hl=it&as_sdt=0%2C5&q=Lasagni%2C+A.+%282008%29.+Volontariato+e+criminalità+in+Italia%3A+un’analisi+sui+dati+provinciali.&btnG=. Accessed 30 Agust 2018. R Core Team (2018). R: A Language and environment for statistical computing, version 3.4.4. R foundation for statistical computing, Vienna, Austria. Available http://www.R-project.org/.